What does it take to keep a horse healthy and happy? This is not an easy question to answer because horses are complicated animals with very specific needs in terms of food, shelter and mental and emotional stimulation and satisfaction. 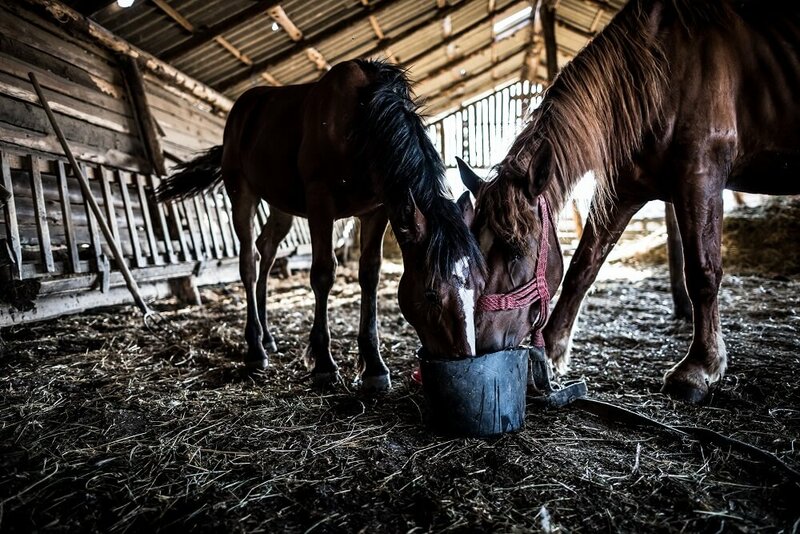 In this article, we will share some basic information on establishing a good environment for your horse and providing the care and attention he or she needs for good health and happiness. Read on to learn more. 6.4 Do Horses Need Baths? 7.2 How Do You Choose A Farrier? 8.1 What Vaccinations Are Required? If you have access to good pasture, this is the very best environment for most horses. The ideal natural diet for equines consists of lots of grass and good quality hay and plenty of good, clean water. How much land does a horse need? Generally speaking, it takes between three and five acres of good pasture to keep a horse happy, comfortable and well-fed. Even the best pasture should be supplemented with hay and feed during the winter months. Unless you have a very large, open pasture where your horses can move about freely and graze a bit here and a bit there, you will need to rotate pasture every month or so. Let one area rest while another area is grazed. In this way, manure will have a chance to break down and compost. If too much manure builds up in one place, it will spoil the grass and your horse will not eat it. Although horses typically live entirely outdoors in the wild, it is important to understand that they do need shelter from the elements. In a wild setting, this comes from heavy tree cover, natural geographical barriers and wind breaks. Horses must have the ability to get out of the elements as they wish. In an open pasture setting without natural protection, a three-sided shed usually provides adequate shelter for healthy, active horses. As a horse owner, you will want to provide your horse with a safe, clean setting, sturdy fencing and effective shelter against rain, wind, snow and heat. Horses may be housed in barns, stables or open-sided sheds, depending on the weather in your area. 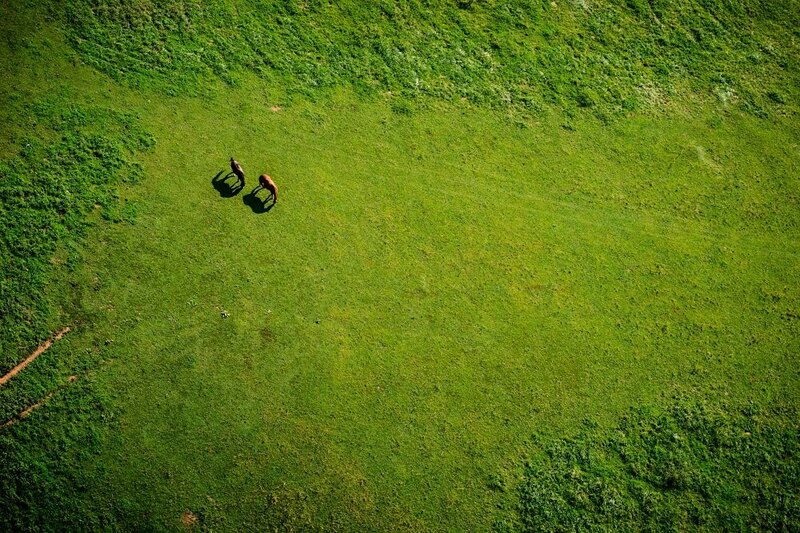 If you cannot keep your horse on pasture, you may want to use a dry lot or corral with shelter attached. A good outdoor turnout pen should be at least twelve feet wide by twenty or thirty feet long. This will allow the horse to move about freely, but he or she will not be able to gallop. If your horse is high spirited and tends to run around, a larger pen, fifty feet long or more is best. If you keep your horse in a small pen, you need to set up a regular schedule of exercise. There is some difference between a barn and a stable. Barns are typically multipurpose buildings used to house livestock of all sorts. A barn may be a closed building with slatted stalls that open onto outdoor runs. These buildings are usually not heated and are very well ventilated. Barns usually have a feed room but may not have a separate room for tack and equipment. Stables or horse barns are set up especially for horses and other equines. A stable typically has box stalls with solid walls. The stalls may have windows and/or may open onto outdoor runs. This design makes it possible for a larger number of horses to live under the same roof without fighting. 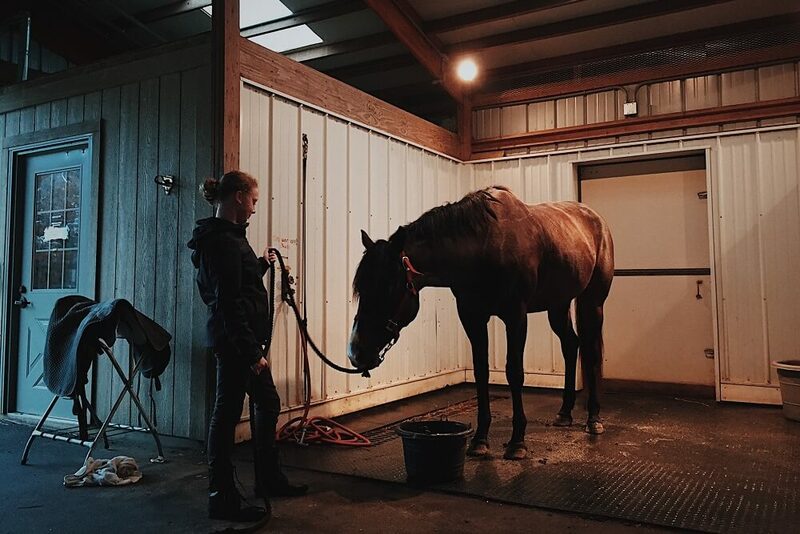 Stables typically have separate, secure tack rooms, feed rooms and perhaps even a special area for veterinary care, bathing and other typical horse care related activities. Box stalls range in size from about 10’x12′ to 14’x14′. The size of stall your horse requires depends upon its size, activity level and temperament. Smaller, quieter equines (e.g. ponies, miniature horses, donkeys) may be perfectly happy in a smaller stall. A large, active horse, such as a race horse or other warm-blooded horse, will need a larger stall. Stallions are typically kept in larger stalls. In areas where equines are used as work animals (and therefore get lots of exercise) on a daily basis, they may be kept in tie-stalls. These small stalls measure about five or six feet wide by eight or ten feet long. In this sort of stall, the horse is tied within reach of its feed box, hay and water. The animal can lie down, but cannot turn around. This sort of stall is seldom used any more. It is inadequate for horses kept as companion and recreational animals. No matter what size stall you use, you must keep a layer of absorbent material, such as wood chips or straw on the floor to absorb urine and provide good footing. When a horse is kept in a stall, the stall must be cleaned daily and the horse must be allowed time to exercise outdoors. You can even buy some stall toys for your horse to have some fun! It is best if your horse can be kept with other equines, because horses naturally live in herds. If you are not able to keep your horse with other horses, a small donkey can be a good friend. Some horses like to be kept with a goat, dog, cat or even chickens. If your horse is a stallion, you will have problems with housing as stallions should be kept separate from other horses to prevent fighting and unwanted mating. A stallion’s quarters should be very sturdy to prevent escape and carousing. Whether you keep your horse on open pasture or in a pen, barn or stable you must be sure that clean drinking water is always available. A horse will die within a couple of days without water. Even when there is a natural water source, such as a stream, river, or pond, you must check frequently to be sure there is still an unobstructed supply of clean, fresh water. Natural water sources can freeze, dry up or become contaminated quickly, so be sure to check. Whenever you acquire a new horse or move your horse to a new pen or pasture, be sure to walk the fence with him or her to make the boundaries clear. This will help prevent accidents and injuries. The best fencing for horses is wood or metal pipe. These materials are sturdy and unlikely to cause your horse injury. The smaller the enclosure, the sturdier the fencing must be. When horses are kept in close quarters, they make contact with the fence often. They are also more likely to try to escape small enclosures than large ones. Horses tend to reach through fences to graze, and getting a hoof or leg caught in a fence is not an uncommon occurrence. For this reason, it’s best to avoid wire fencing. It’s also best to have fencing that is easy for horses to see. When they run and play, or if frightened, they may not notice wire fence, and injuries are sure to occur. 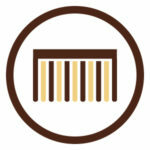 Smaller pens and corrals should always be constructed of wood or metal pipe materials. Larger enclosure can be surrounded by “no climb” fencing, which is a closely woven mesh. An electric fence may be a good idea. Never use wire mesh material that has openings large enough for a horse’s hoof to become entangled. Avoid using wire strand and barbed wire because it is simply unsafe. Grooming your horse is a great way to build rapport with him or her and develop good, reliable handling habits that will be helpful to you if you find yourself in an emergency situation with your horse. Good communication between horse and rider starts with everyday handling and interaction. There are many complicated ways to groom your horse, and you could surely spend a fortune on grooming materials and kits. For simple, everyday grooming, this is not necessary. You can give your horse a good brushing, dislodge loose hair and dirt and help your horse have a healthy hide and a shiny coat in just a few simple, daily steps. It is better for your horse and your relationship with your horse to groom lightly daily as part of your daily horse care checklist, rather than saving up and doing a massive and intrusive grooming every few days or weekly. Daily grooming helps you stay on top of your horse’s health. When you groom daily, you can look over your horse’s entire body for injuries and other problems. This tool may be made of metal or rubber. Most people and horses prefer the rubber version as the metal type can be painful to sensitive horses’ skin and can give you a good poke on the finger if you aren’t careful. 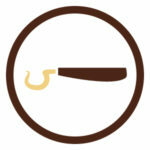 Currycombs are usually round and made of very hard rubber. They are used to loosen up stubborn dirt and mud while stimulating the skin and spreading natural oils throughout the coat. The curry comb should only be used on the horse’s neck and body. Don’t curry the head, legs, mane or tail. This is a stiff -bristled brush that is also very useful for tackling heavy dirt and mud. This type of brush looks like a scrub brush. It may have bristles made of plastic or natural fibers. After you curry your horse, give him or her a good going over with the dandy brush. You can use this brush on the body, neck, legs, mane and tail. Don’t use this stiff brush on the head or ears. Look for a small scrub brush or use a small human hairbrush to remove stubborn mud from the head, face, ears and forelock. 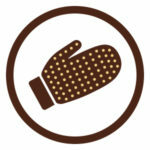 It’s easier to work on these sensitive areas with a smaller brush that fits into the palm of your hand. 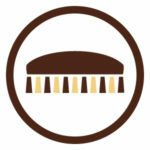 Use a wide-toothed metal or plastic comb to remove tangles from the mane and tail after brushing with the dandy brush. 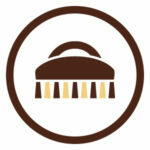 Work from the ends of the hair up to remove tangles easily without tearing the hair. It’s a good idea to have a package of inexpensive washcloths on hand just for your horse. Use a damp wash cloth to clean the face and ears. This sort of cloth is good for applying fly repellent to the face and ears as well. This brush also looks like a scrub brush but has much softer bristles, which may be either natural or synthetic. This is the finishing brush. Use it to smooth and polish the entire neck and body, head, legs, mane and tail. Get a solid metal hoof pick with a fairly dull tip. There are hoof picks that have very sharp points, but this is not safe to use on the sole of your horse’s hoof. Use the hoof pick to gently scrape away mud, rocks and other debris. A comprehensive fly control is very important, especially during the spring and summer months. Apply fly repellent after grooming to prevent having your horse plagued by biting flies. Fly repellent can be sprayed or wiped on depending on the temperament of your horse. Most horses can learn to tolerate spraying over the body and legs, but you should use a washcloth to apply the repellent to the face and ears. Alternatively or if you want additional protection, you can try a good fly mask for horses and/or horse fly sheet. 1. Start at the left side of the horse’s head. Use your curry comb to brush dirt, dust and mud off the horse’s neck and body on the left side. Move back to the horse’s head and repeat the process on the right side. Always work front to back, finishing one side and then moving to the other. 2. Switch to the dandy brush and go over the horse’s whole body and legs. Brush the mane and tail to remove any heavy dirt or mud. When you brush the tail, face forward (looking toward the horse’s head) and stay where your horse can see you. Stand to one side and then the other holding the tail in one hand and brushing with the other. Doing this will help prevent your being kicked if something happens to startle your horse from the rear. 3. Clean your horse’s hooves. Start with the left front and work your way around: left front, left rear, right rear, right front. If you want to apply hoof oil for looks or as a conditioner, use it as a finishing touch after you have removed all debris from the hooves. 4. Use your small brush to brush your horse’s head and forelock. Switch to a damp washcloth to wipe the face and ears. 5. Comb your horse’s forelock, mane and tail. Remember to stay where your horse can see you while you work on the tail. 6. Use the body brush as a final touch to add shine and smoothness to the coat, mane and tail. 7. 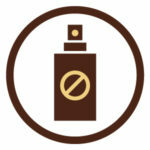 Apply fly repellent or homemade natural fly spray. Show horses may need to be clipped for the best presentation, but this really isn’t necessary for everyday riding horses. Remember that horses grow winter coats for a reason. Clipping may make your horse vulnerable to chill and illness. Most people, however, clip in fall/winter to help cool quicker after riding instead of waiting for a sweaty winter coat to dry. Here are few clipping tips if you are going to clip your horse for the first time. You may also wish to trim a bridle track in the mane using good quality horse clippers. This is just a small area behind the ears where the bridle headstall sits. Trimming the mane away at this point can help prevent tangling. It also presents a tidier appearance. If your horse has very heavy fetlocks and/or your pasture is muddy, you may wish to trim the fetlocks to help make grooming easier. For the most part, horses do not need to be bathed. Regular brushing should keep your horse clean and comfortable. Some horses do like to be hosed down in the summertime, but this is not really a good way to keep a horse clean as he will invariably finish up his bath with a good roll in the dirt. For the most part, you needn’t use any shampoo on your horse. If you decide you want to, choose a good quality equine wash or use baby shampoo. Be sure to rinse thoroughly. Don’t wash a horse with shampoo more than once a month or so as it will tend to dry the skin. When you ride, check your horse’s hooves before and after your ride. If you ride a long distance, check hooves occasionally throughout your ride. On non-riding days it’s a good idea to clean your horse’s hooves daily. You needn’t overdo it. Just check for rocks and other obstructions and pry them out gently with your hoof pick. Be sure your horse always has a dry, fresh surface to stand on to prevent the development of fungal growth. If your horse stays in a barn or stable, put a thick pad of shavings or straw on the floor to provide cushioning for the hooves. This will help prevent tender feet and lameness. Standing on a very hard floor can also cause problems such as bone splints and joint pain. If the floor of your barn or stable is concrete, you should get a rubber stall mat to provide good padding and traction. Put shavings or straw on top of the mat for cushioning and absorption. Identify a good local farrier and develop a working relationship with him or her. Ideally, your farrier should visit every couple of months to check your horse’s hooves and give a trim. Don’t wait until your horse’s hooves look shabby. This is just asking for trouble and lameness. When you have your farrier visit regularly, he or she can build a trusting relationship with your horse and you. If you have a hoof emergency, having a good farrier on board who knows you and your horse can make all the difference in the world in terms of effective treatment. Don’t try to farrier your horse yourself even if you think it looks easy and you could do it. How Do You Choose A Farrier? Look for an established, registered farrier who can provide solid, verifiable references and information about his or her education. Check with your local licensing bureau and/or your veterinarian to determine exactly what education and experience is required for registration. Accept nothing less. 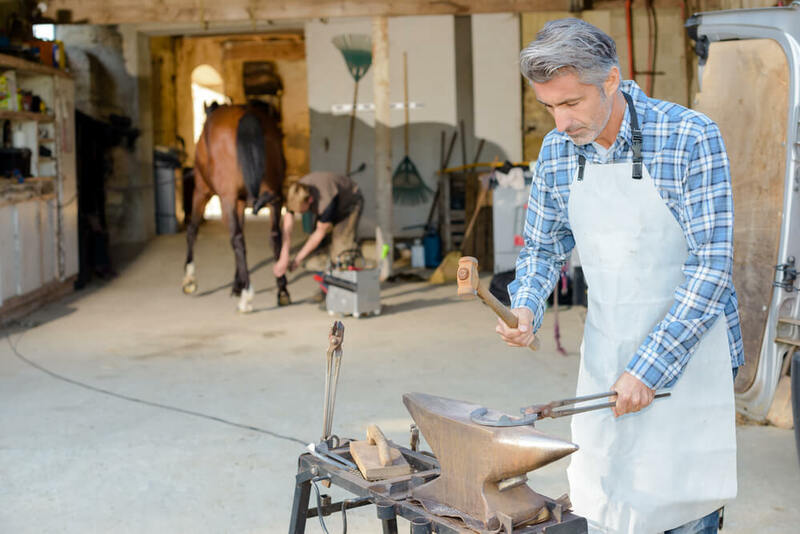 Requirements vary from country-to-country and region-to-region, but typically you should choose a farrier who has a solid education at a credentialed farrier school. He or she should have a body of work that you can check. That is, you should be able to visit current clients (with their permission, of course), look at the farrier’s work and verify references. Horses that work or race need added protection for their hooves – horseshoes. 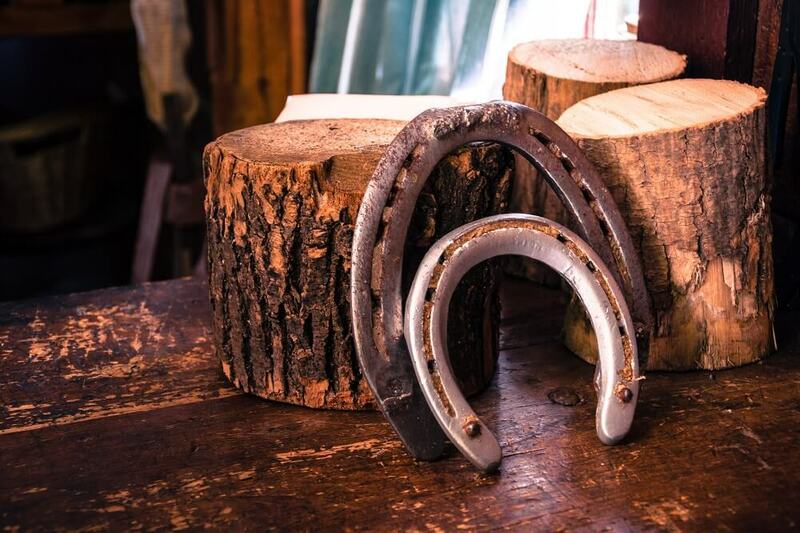 This may come in the form of old-fashioned steel shoes, but today more and more horse owners are choosing shoes made of alternative materials. Some plastic/rubber/resin type horseshoes can be glued or nailed on for continuous wear, but most horse owners and veterinarians agree that horse boots are preferable. Modern horse boots come in a wide variety of styles and types suited to all sorts of activities. These removable horseshoes are like cross-trainers for horses. They fit securely, provide excellent support (especially for horses with hoof problems) and safe traction for use on a wide variety of surfaces. Talk with your vet and/or your farrier about the possibilities. Just as with farriers, be sure to check potential vets’ background, education and certification. Ask for references and verify them. Establish a regular schedule of veterinary care that includes an annual examination and all vaccinations that are required in your area and for your purposes. Follow your vet’s advice about further regular attention and/or exams. These can include (among other things) deworming and tooth care. Keeping up with preventative treatments is a good way to ensure that your horse stays healthy. 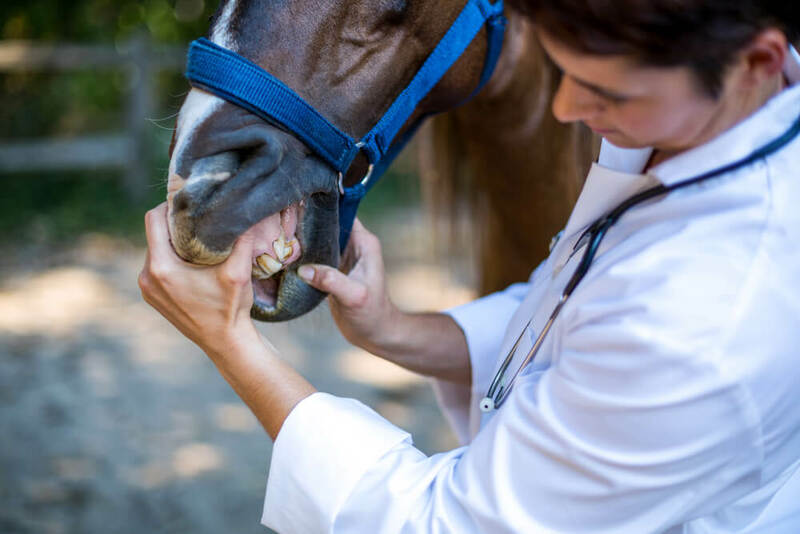 Just as with your farrier, it is smart to develop a good working relationship with your veterinarian so that things will go as smoothly as possible in the event of an emergency. When an equine has not been given a vaccine, there is usually a multi-step process involved in getting him or her fully vaccinated. An initial inoculation will be given, then a few weeks later your vet will follow up with a booster shot. After that, you will need to have vaccines administered annually. If your horse is frequently in contact with other horses (e.g. on trail rides, at shows, in public boarding facilities) you must be sure to get a complete array of vaccines for full protection. If you trailer your horse frequently, you must carry certification from your vet so that you can show proof of vaccination if asked. This is especially important if you cross state lines, travel from one province to another or cross international boundaries. 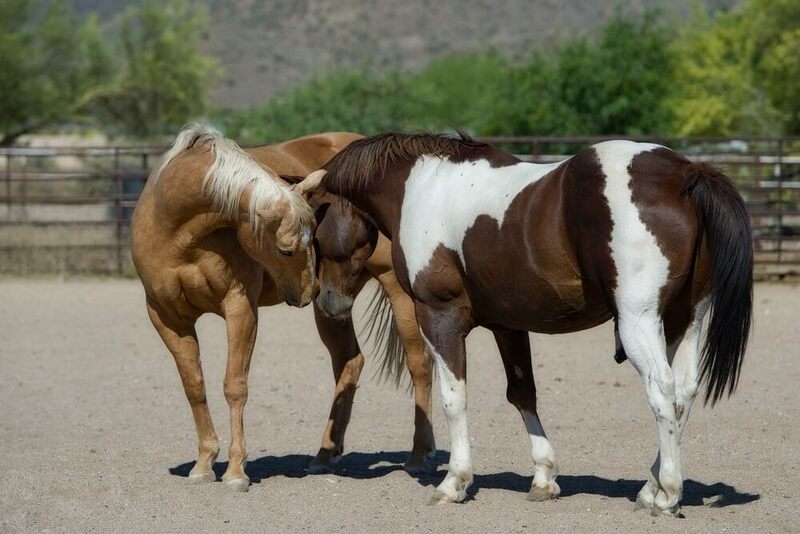 If you show, race, travel, participate in trail rides or otherwise come in contact with other horses, your horse must be tested for Coggins (a form of very infectious equine anemia) on a regular basis. Horses that travel and encounter other horses must be tested periodically, and you must carry current certification from your vet. The key to good horseman is really seated in relationship building with your horse, along with openness to learning. In this article, we have presented some basic information to get you started, but this is just the tip of the iceberg. There are many other important things such as foal care, senior horse, etc, but you can learn about those later. In closing, here is a good basic information video that will give you more good information and ideas. One of the best things about being a skilled horseman or woman is the fact that you will learn something new every day. This is a challenge and a joy. Do you recommend a first time horse owner to keep the horse in a stable or move it right onto your property right away? I feel like I would rather have it close to me and on the property so caring for the horse does not include a drive, but I can understand it might be beneficial to have it at a rented stable. Horse is a sensitive pet from my view. It takes a lots of cautions and care from the owner. You got me when you talked about the importance of having an available source of clean water for your horses because they can die if they won’t drink water for days. My husband and I are planning to buy at least 3 horses. We want to make sure that we will be able to care for them properly so they can live with us for a long time. It will be heartbreaking to lose them, so we’ll consider all your tips. Thanks for pointing out that it’s important to make sure that clean drinking water is always available for your horses since they can die without water. I will make sure to share this with my dad because he’s planning to shop for horses. He said that he wants his horses to be healthy at all times. He told me that he has been wanting to care for horses since he was young.